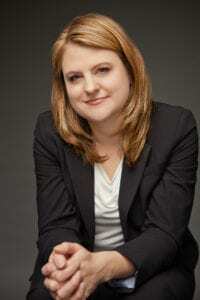 Jennifer Jill Harman, Ph.D. received her doctorate in Social Psychology from the University of Connecticut in 2005, and specializes in the study of intimate relationships. She also has two masters degrees from Teacher's College, Columbia University in psychological counseling, and served as a family and substance abuse counselor for several years prior to her entry into academia. She is currently an associate professor of psychology at Colorado State University. Dr. Harman is an accomplished and awarded teacher, and has published many peer-reviewed articles and book chapters, and has presented her research regularly at scientific conferences around the world. She has also co-authored numerous books such as The Science of Relationships: Answers to your Questions about Dating, Marriage and Family and Parents Acting Badly: How Institutions and Society Promote the Alienation of Children from their Loving Families. Dr. Harman's areas of research expertise focus on the topic of power in relationships: power in how intimate partners influence each other for good or bad. As an applied social psychologist, her work has applied social psychological theories on intimate relationships to the study of public health problems ranging from STI prevention to domestic violence. For nearly the last decade, her primary focus has been on the study of parental alienation. Aside from her professional publications, Dr. Harman also writes articles for general audiences, such as The Conversation, and her work is republished on thousands of other news sites (e.g., Associated Press, Raw Story). Her 2016 TEDx talk on parental alienation, has had thousands of views. Dr. Harman regularly conducts trainings for legal and mental health professionals on parental alienation, and serves as an expert witness and consultant on civil and criminal cases involving parental alienation and other forms of family violence. On a personal note, Dr. Harman is a single mother of two amazing elementary aged boys, and a step-mother in a blended family of 7. They live in Fort Collins, CO.